What do they say? Some things are worth the wait... And this is one of them! I have scouted all the shows from AW 16/17 to bring you an edit of the most creative, individual & spectacular pieces the designers have to offer for this season. 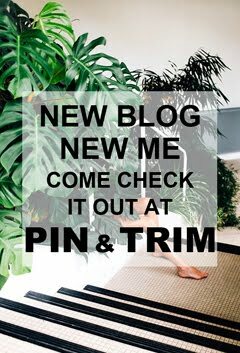 So sit back & enjoy this 3 part series, that I hope may inspire you to explore fashion, even in the most bleakest of weathers! There's no mistaking that when the weather turns cold, we find warmth in our colour choice. My particular favourites are the burnt umber, coppers & fiery oranges seen this season. This colour palette combined with a nod to the 70's - which was hugely popular in the summer - offers us a range of beautiful dresses, suede boots & statement knitwear. Always a favourite, but with a twist... we have abstract coloured zebra print, giraffe print, textured prints & scattered leopards on a beautiful Dolce & Gabbana dress. 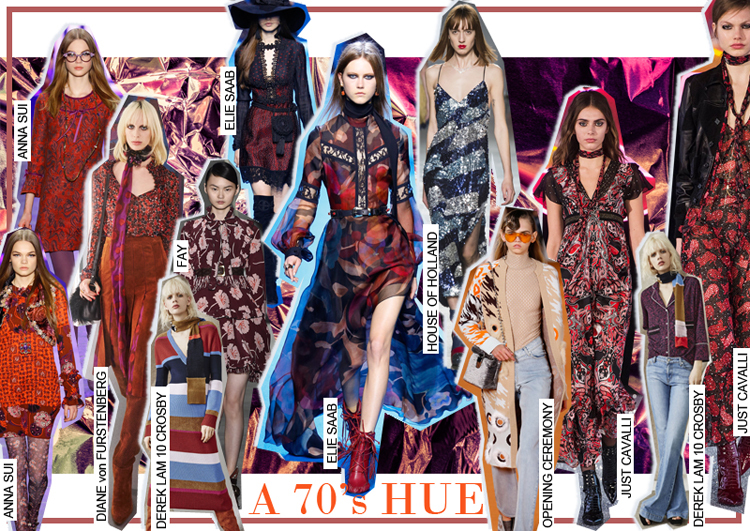 This trend is all about making an impact, in a sea of dull winter coats! 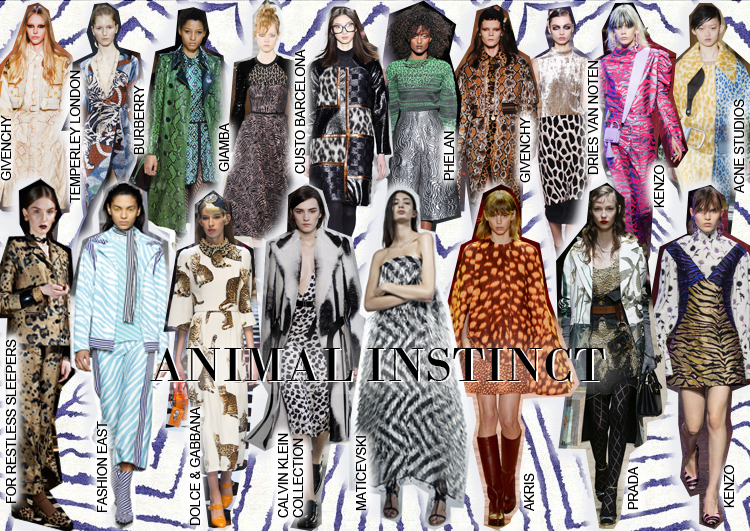 So have some fun & experiment with your animal prints this season. 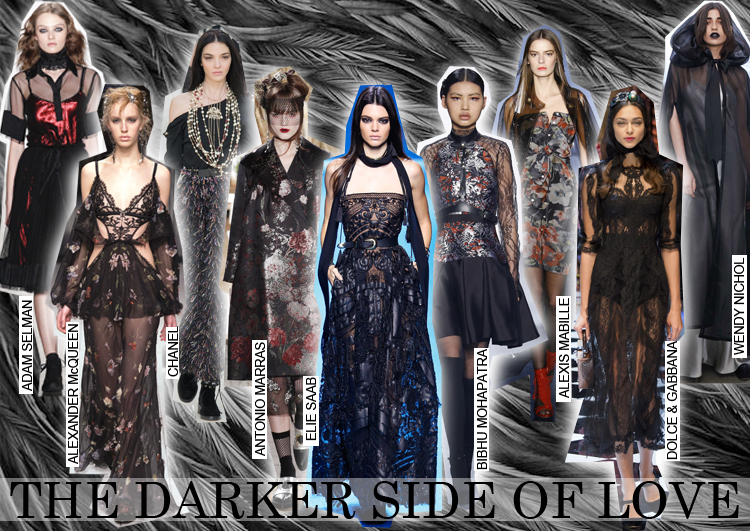 Delicate lace, sheer chiffons & a whisper of florals on a backdrop of black. This trend might have quite a gothic appearance, but it is the soft details that make it beautiful, with a juxtaposition of darkness. Bright. Vibrant. Unmissable. If this doesn't put a smile on your face, what will? 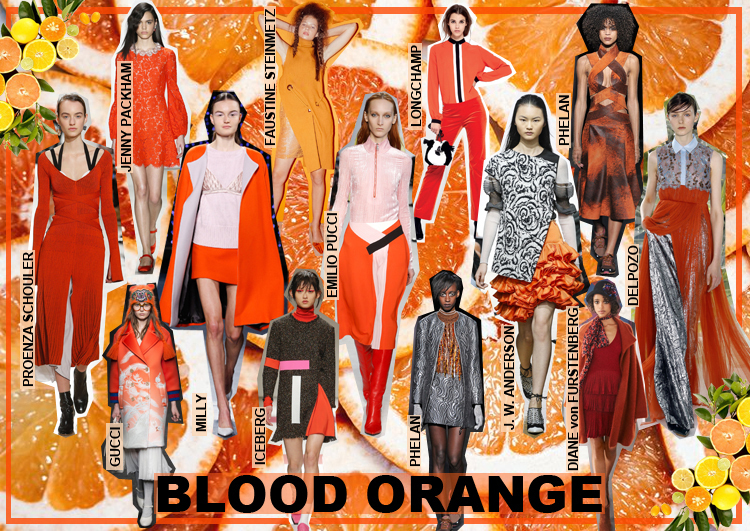 Try adding a touch of blood orange to your outfit, or go for a full colour clash. This season, orange is power! As delicate as snow & as dazzling as fairy lights. It is all the magic, all the promise & all the glitz & glam that this season has to promise. However this is far more subtle to the ordinary glitter & OTT sequins. 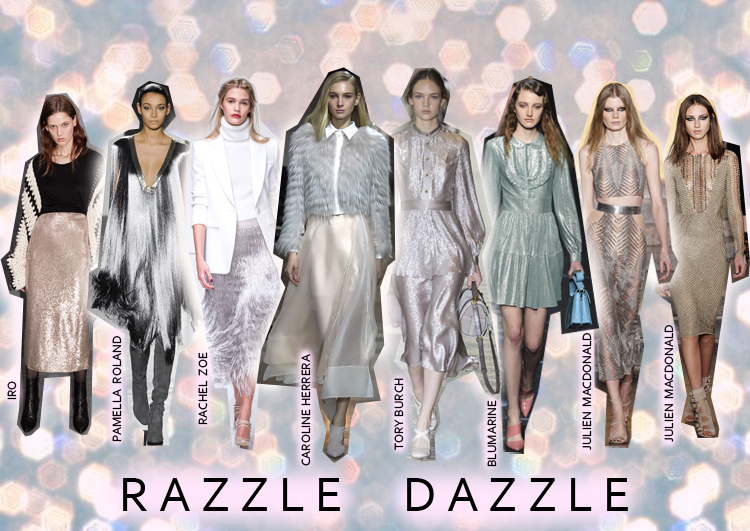 Instead metallic woven fabrics, delicate beading & shimmering tassels are what to look out for. 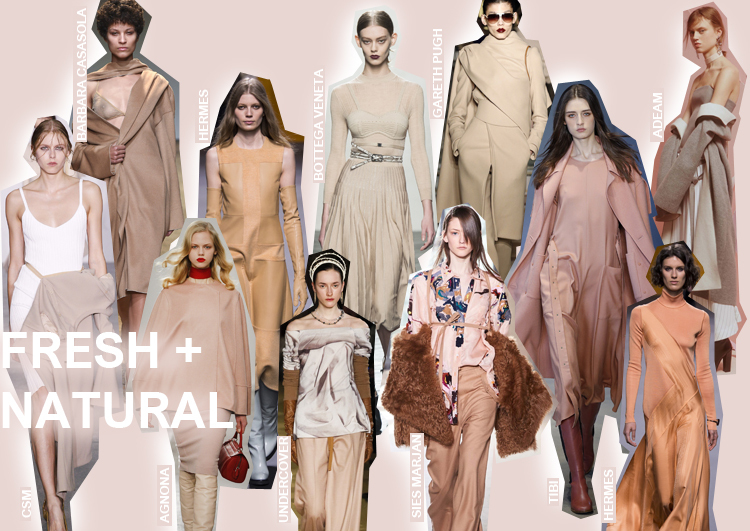 Nudes, blush pinks, tans & olives... with a sharp dash of white. These light shades allow us to see through the supposedly minimal garments & instead concentrate on the beauty of the cut, the draping & the added details & to celebrate the art of dressmaking. This is all about beauty, simplicity & cut. Baby pink. Pastel pink. Dusty pink. 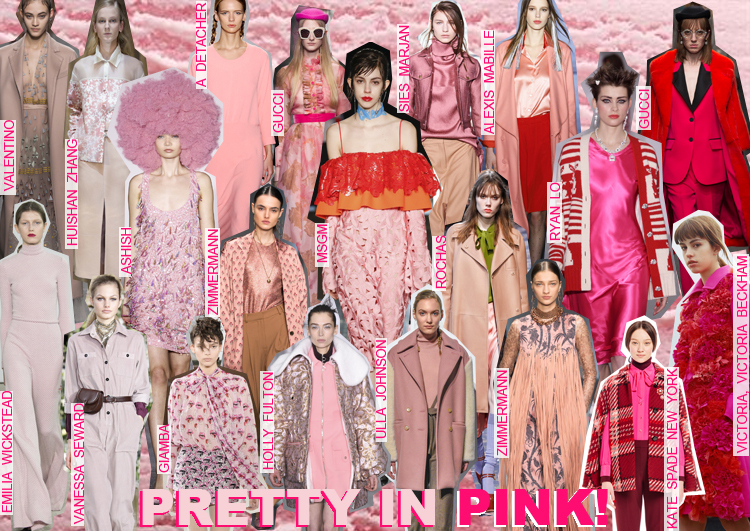 Bright Pink... We are mad about pink! So take your pick. Either go subtle with light pastels from head to toe, add print, glitz or texture for detail, or create a colour clash - try adding reds, oranges & even greens!